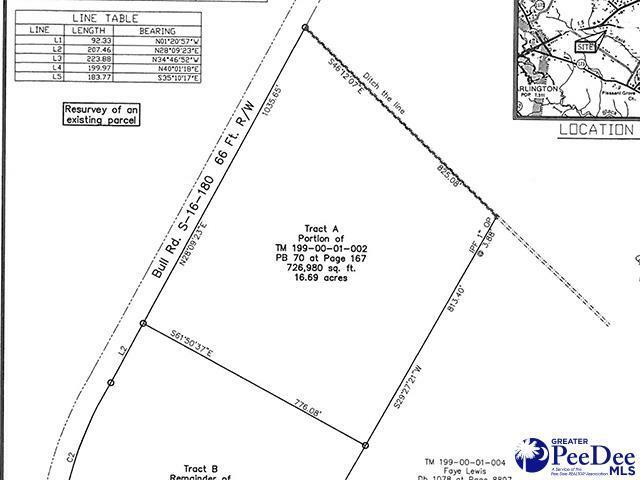 16.69 acre tract close to Darlington City limits on Bull Road close to intersection with Cashua Ferry Road and 2.2 miles to intersection with Pocket Road. Acreage for homesite with plenty of land or development. Listing provided courtesy of Nell Folkens of Folkens Real Estate, Llc. © 2019 The Realtor Association of the Greater Pee Dee.